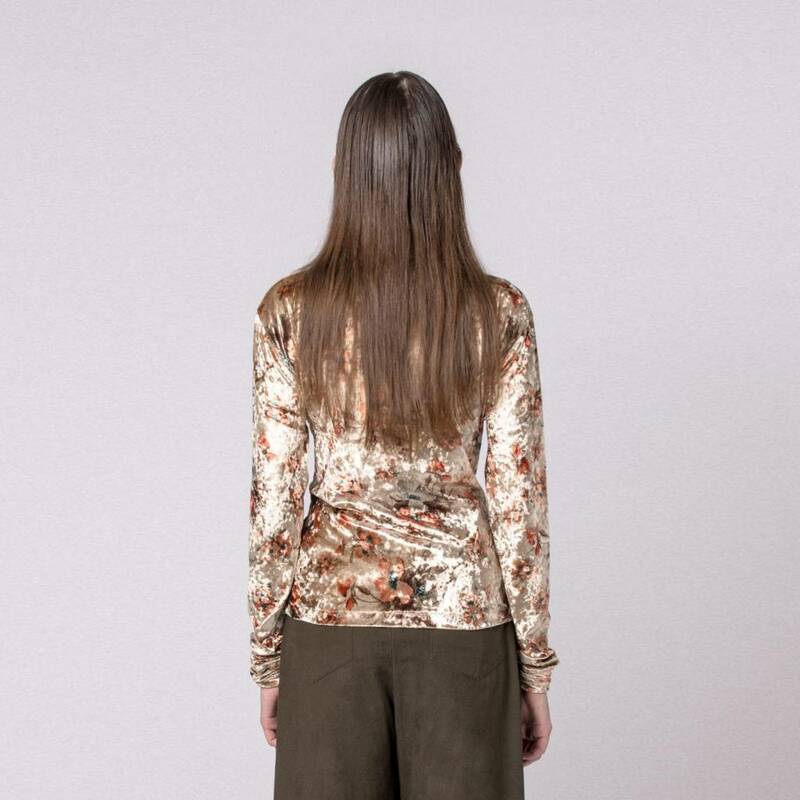 A half zip tee by Han Kjøbenhavn, made in a soft velvet with flowers. It has long sleeves and a tall collar with a half zip closure on front. 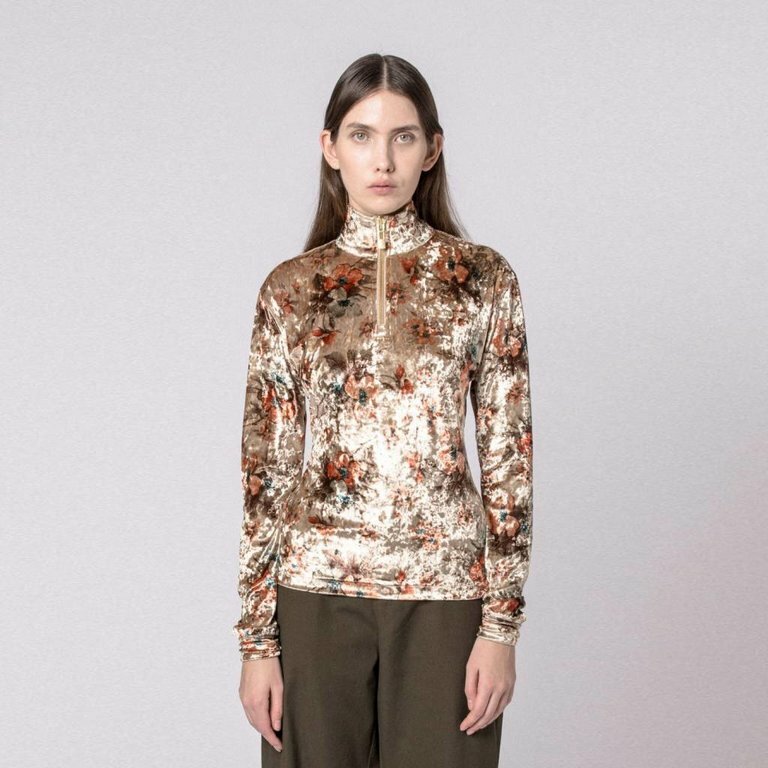 The half zip T-shirt by Han Kjøbenhavn is made in a soft velvet with flowers. It has long sleeves and a tall collar with a half zip closure on front.